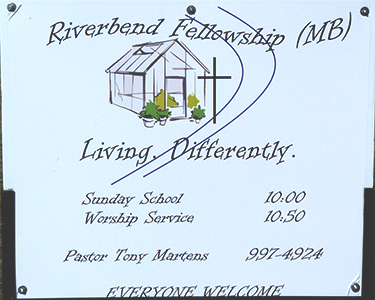 Riverbend Fellowship is an interactive, caring place that values discovery, dialogue and artistic expression inspired by God’s Word, the Bible. A greenhouse is a place of life and growth.We want to be a spiritual greenhouse. Our God is alive. Why should church be dead?